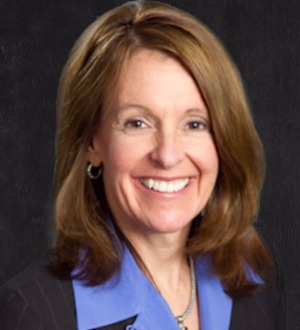 Mari Perczak has nearly thirty years of experience as a Colorado trial lawyer. She has successfully handled many large construction defect cases for Colorado homeowners and homeowner associations. Known for her hard work and dedication, Mari has brought many favorable verdicts and settlements for her clients. $2.5 Million judgment following a jury verdict against a siding contractor. Ms. Perczak’s experience and aggressive work also generated a $5.3 million settlement in a case involving structural framing defects and improper application of artificial stucco for a Denver homeowner association. Since 1997, Ms. Perczak has successfully resolved through settlement or trial more than 100 cases. She also has handled many cases before the Colorado Court of Appeals and Colorado Supreme Court. Ms. Perczak presents educational seminars to attorneys and property managers on issues relating to construction defect litigation, trials and evidence preservation. She has served on educational committees for the Rocky Mountain Chapter of the Community Associations Institute (CAI) and was a nominee for CAI’s board of directors. Ms. Perczak was the U.S. Department of Energy’s lead trial counsel in the condemnation action for the Standley Lake Protection Project. The trial, involving several land parcels, resulted in a verdict adopting the Department of Energy’s valuation. Ms. Perczak also served as Assistant City Attorney for the City of Westminster in the early 1990s. Ms. Perczak has earned the top rating (AV) from Martindale-Hubbell, the nation’s leading legal directory. The rating reflects a lawyer’s expertise, competence, and adherence to ethical and professional responsibilities. Ms. Perczak is a member of the Colorado and Denver Bar Associations. Married with three children, Mari spends her free time with her two daughters competing in equestrian events.